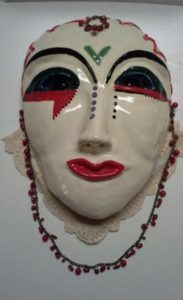 I have been creating colorful, expressive one-of-a-kind ceramic masks since the summer of 2006. Conceived as wall art, rather than functional masks, my masks are made from white stoneware. 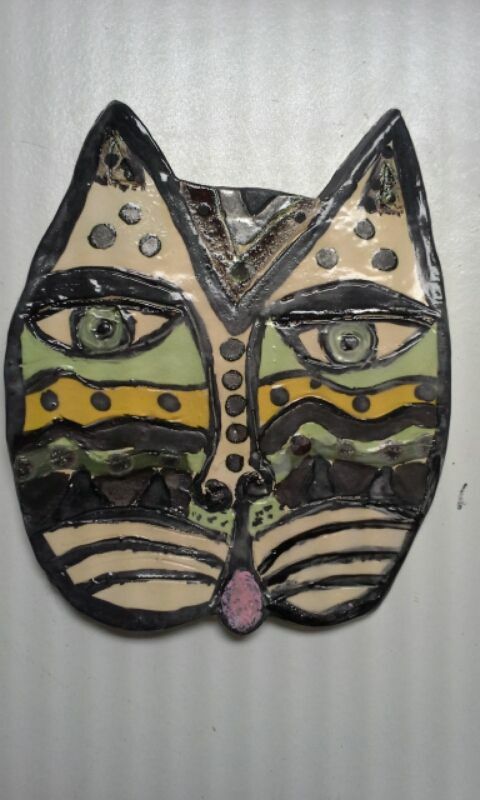 I have introduced raku to my work to experiment with an array of vibrant colors. Over the years I have adorned my masks with ribbons, beads, feathers, leather, fabric, glass, and metal. There are influences from African, Asian, and Native American art although my imagination plays the biggest part in my inventions. 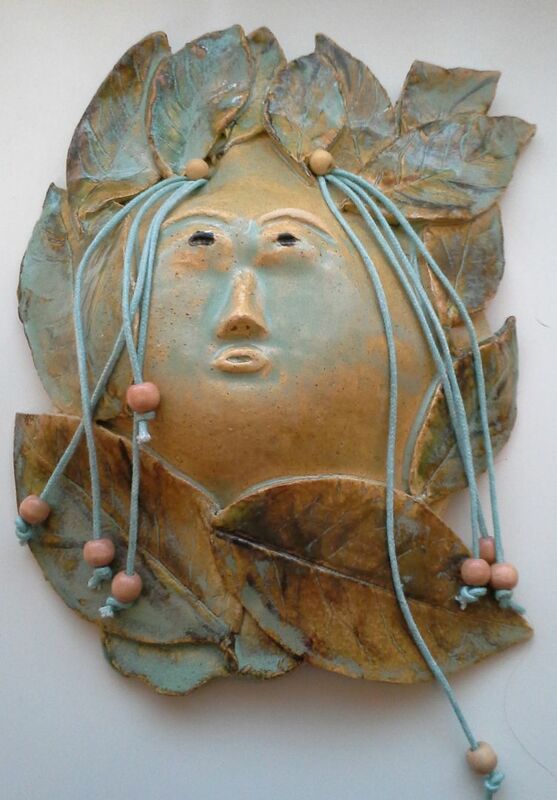 I have used metallic bronze and brass underglazes, bright colorful underglazes and acrylics, as well as more subtle glazes and iron oxide. At University of Pittsburgh, I studied art and art history as well as education. During my college and post-college summers, I took sculpture classes and workshops. In the early 1970s, I was a student of P A (Tony) Narducci in Denville, NJ. I had the pleasure of being guided and encouraged by the late Don Thieberger in more recent years. 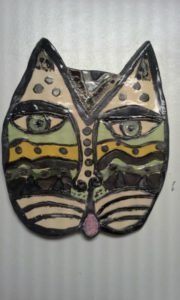 I have also experimented with printmaking, glass and jewelry making. I became interested in masks during a visit to Santa Fe and Taos, New Mexico in Sept. 2001. I saw the work of Doug Fountain, a Native American artist whose brightly decorated gourd masks adorned with feathers fascinated me. 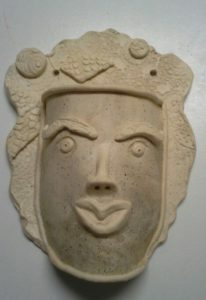 A small mask that he made in honor of 9/11 hangs in my home. Later during a visit to Seattle I again found wonderful, colorful carved wooden masks of the Northwestern Coast Indians. These came to life in the stories and plays of their culture. 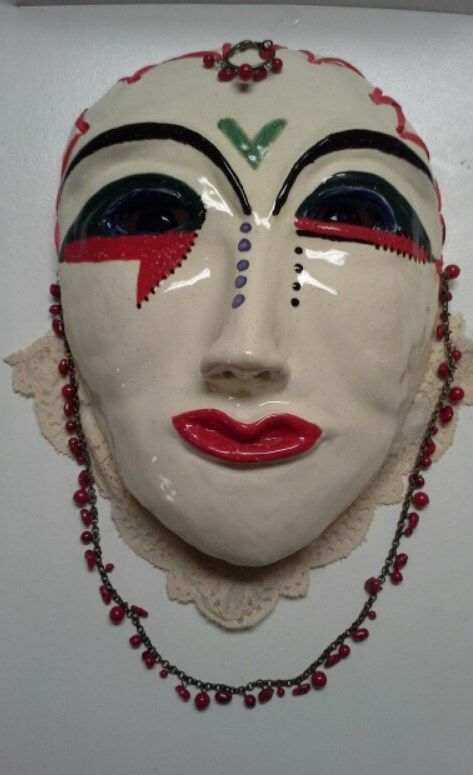 In the same way my masks become individual characters as I create them. 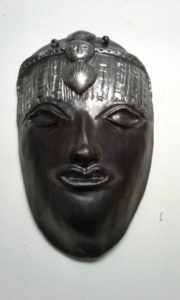 Mask making is a meditative joy and a joyful endeavor. My masks bring a smile to my face. I like to bring out the humor or subtle emotions whether surprise, fear, joy or wonder. 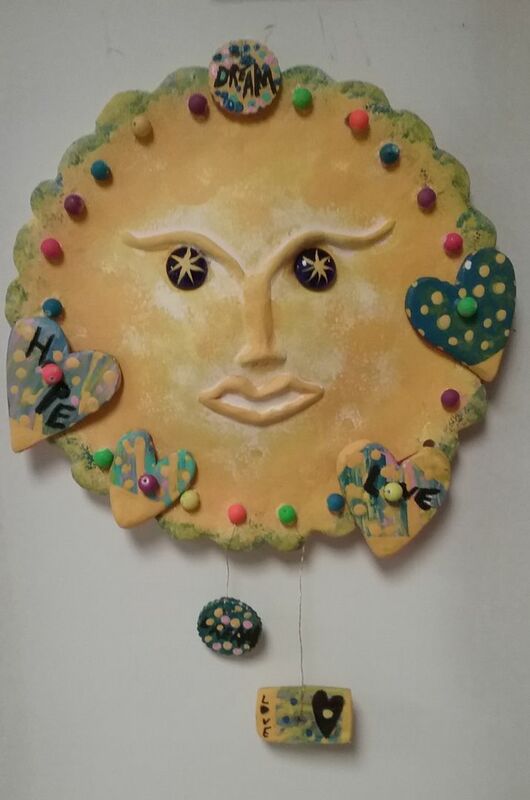 Working with clay is a playful experience for me.